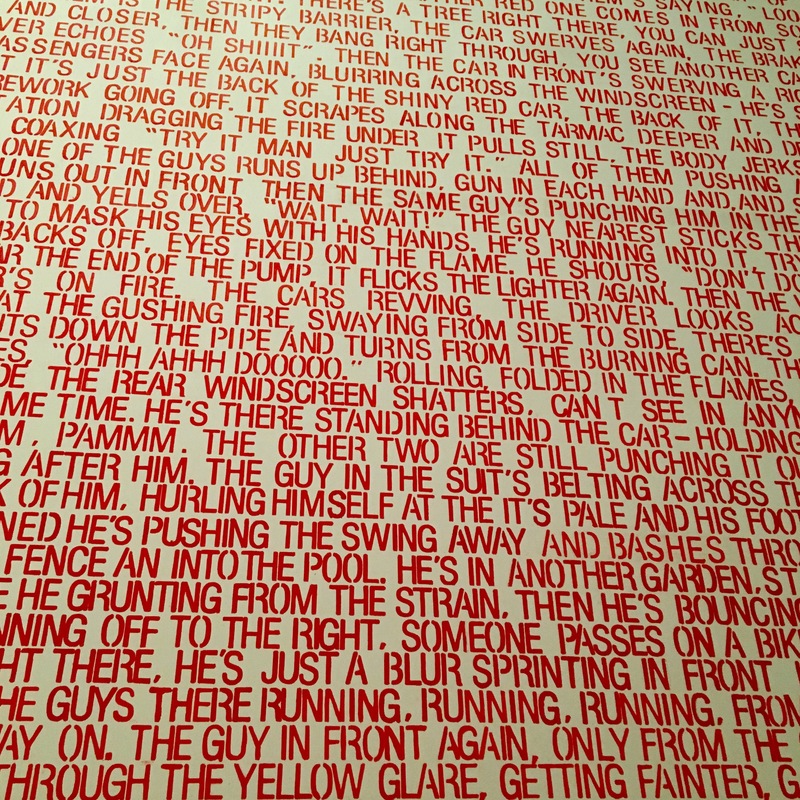 British artist Fiona Banner turned the opening scenes of the cult classic Point Break into a huge canvas with red words. The point? Convey the break, the chiasm between what is experienced visually and mentally. Suspense is lost. Impact becomes flaccid. Scenes become silent. In the case of high-voltage action, Banner implies that sometimes the movie is better than the book. On view at the ever magnificent British Tate.